Multi-Award winning, locally based, American design team with over 40 years of international and domestic experience in residential and commercial interiors. We provide a broad range of services for any project. Whether the scope of the project is small or large, our approach remains the same: first and foremost, we are dedicated to achieving client satisfaction by providing the highest quality in results for the lowest possible cost. We are "hands-on". We provide comprehensive in-house services at a reduced rate. Should third party contractual work be required, we will assume full responsibility for project management. 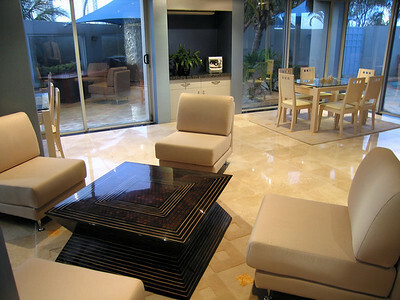 If you are contemplating remodeling, we can provide assistance from initial design to complete project management. We can alleviate the stress from achieving key timelines by managing any contractual work. We are experts in this. We research the requirements and options of each project separately to insure the best price/quality ratio for any services and materials, including appliances, hardware, and furnishings. If you are considering selling your home or have already listed it, we can provide home staging services. Staging is a proven process of "neutralizing" your living area to allow interested individuals to envision it as their own residence. Our goal in staging, is to increase opportunities to sell your home more quickly, by appealing to a larger amount of prospective buyers. Don't want to sell? What is old can become new...we can give you a new, "refreshed" interior look by changing how you arrange, organize and display your decor and furnishings to maximize their potential. The advantage of home refreshing is that you can manage almost any budget since you are primarily using your existing possessions. See www.myvoiceofcolor.com/sacramento to read more about the program and you will find us under both the "For Your Home " and "Commercial" headings. Speak to our experts....to find out more! Our ideas easily set us apart and offer our clients a group of truly different personalized design solutions to any room, home, commercial space (offices, showrooms, etc.) and retail space. Please give us a call and let us come and meet with you to discuss your requirements and the timing for your project. We are at your service....Monday through Saturday 9:00 a.m. to 6:00 p.m. and if it is more convenient to meet with you in an evening we are happy to oblige.